To understand how the underwriter looks at your information, you need a detailed explanation of the remaining three C’s. Each C covers a lot of information, and the impact of government regulations push and pulls all of it outside the boundaries of common sense. Looking at the process may shed light on the underwriter’s decision process. Credit is the most well known of these three categories, and the least understood. A credit report covers many of your interactions with the world — and not just your credit use. It contains your address history, job history, date of birth, and social security number. It also has details about the credit you’ve been granted, whether open or closed and any public records that may exist. And your credit scores. Credit scoring came about when a company, Fair Isaac, analyzed consumer credit data to predict an individual’s likelihood of making a 90-day late payment in the future. Two more companies, Experian and Equifax, started using data this way, and soon it was fully adopted into mortgage underwriting. 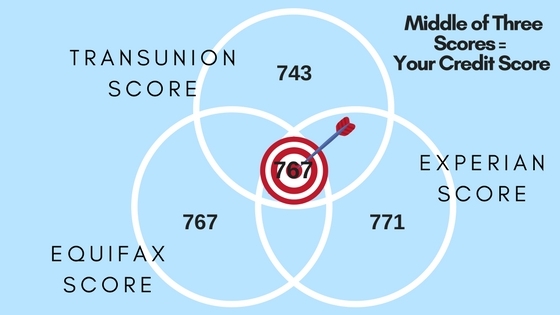 Each of these companies, or Credit Bureaus, translated their prediction into a number score, known as the credit score. With evolving technology and government regulations, the information collected and compiled in a credit report has expanded. Your borrowing history shows outstanding balances on any credit you have, including credit cards, auto loans/leases, any other installment loans, mortgages or equity lines of credit. Judgments or tax liens show in a public records section, and derogatory credit (late or non-payments) from the previous 7-10 years is listed. The underwriter looks at items on your credit report to learn how you manage credit. Late and non-payments are reviewed for a pattern – how long ago and how often did they occur? Do you make minimum payments on your debt or large payments? Do you borrow a lot of credit at one time? Do you use credit enough or at all? Why are these important? Late or non-payments show the underwriter you don’t stick to the repayment terms you agree to when you’re granted credit. Large balances and making minimum payments might indicate you’re struggling to keep up with the debt you have and won’t be able to make the payments on any more debt. If you’re not using credit enough, or at all, the underwriter can’t assess how you handle debt. That makes it hard to approve your mortgage request. Recently, the bureaus added more details on spending and payment history to credit reports. Individual accounts now show monthly balances over several years giving the underwriter more than a ‘snapshot in time’ of your credit use. For example, a credit card with a zero balance, but showing a recent history of high balances for several months, gives the underwriter a better picture of how much credit you typically use. The in-depth look at how you borrow and repay can result in a request for explanations and supporting documentation. In most cases, a brief letter answering the underwriters’ specific question is all that’s needed. If additional documentation is required, your loan officer will tell you the exact items to provide. For instance, if you recently used bonus income to pay down credit balances, a short letter accompanied by a pay stub showing the bonus should satisfy the underwriter. Or, if you were gifted money to pay off credit card balances, a paper trail of those funds will be reflected in your bank statements. Those bank statements are also part of the documentation required for the next C – Capital. Your cash is one of the most critical areas of the Four C’s. Underwriters want to see that you have the required down payment and closing costs, or ‘cash to close,’ how you came up with the money, and how long it took you to save it. You’ll need to provide copies of the most recent two months of statements for all of your asset accounts, including checking, savings, investment, and retirement accounts to be reviewed. The underwriter uses your statements to get an overview of your ability to save, which carries a lot of weight in their decision. Qualified borrowers have good saving habits, don’t live paycheck to paycheck and prepare for unexpected financial issues. A steady reduction in installment debt, like student and auto loans, also shows the underwriter you can save money. All the money to complete the transaction should be in your accounts, or accessible, at the time you apply for a mortgage. If it’s not, detail your plan for the rest of the money at the time of application. A gift of funds from a close family member is acceptable, as is a confirmed bonus due in your next pay cycle, but some sources of money won’t be allowed. Make sure you’re on the right track before getting to underwriting. There are Federal laws behind some of the analysis the underwriter performs on your asset statements. These laws focus on deposits and, in some cases, withdrawals of large amounts in your accounts. The specific size of these transactions depends on your monthly income. If deposit amounts equal to 25 – 50% of your monthly income show up, you’ll need to document the source of those funds. 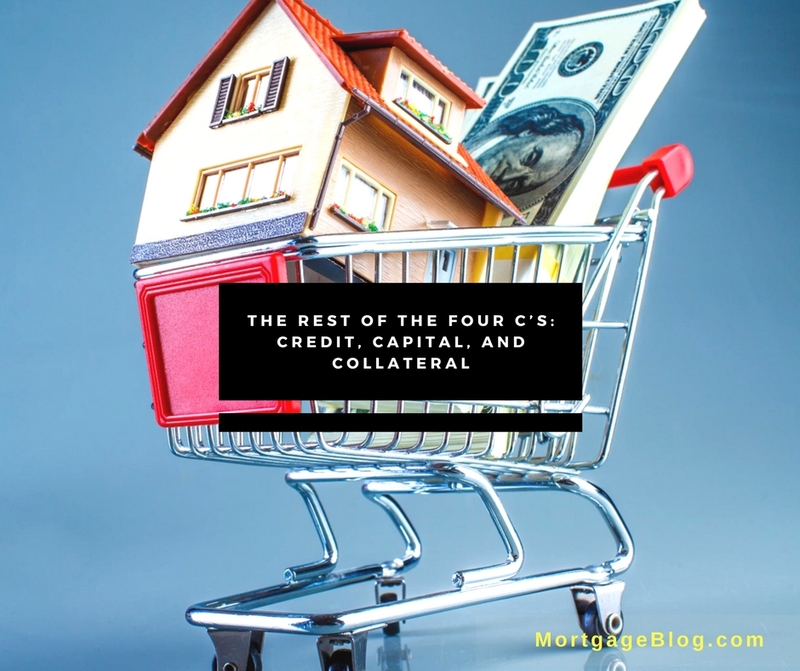 The last C is Collateral — the property you pledge as security for your mortgage. If you don’t make payments as agreed, the lender can take possession of the property and sell it to get the money back. And the truth is — they don’t want it. They want to lend money to people who appear to have the ability and intention to make their mortgage payments as agreed. If a lender has to foreclose, the property is sold to recover the mortgage balance, plus interest due, and the expenses from the foreclosure and resale. The appraisal is done to see if the property value supports this unwanted outcome. An appraisal takes the specific characteristics of your property and compares it to the purchase price of recently sold properties nearby. It includes information about the neighborhood, the property condition, and a current listing in the area. The listed property shows how long it’s taking to sell homes in the area, and if prices are rising or declining. The appraisal notes property condition and any visible “health and safety” issues. Health and safety issues include plumbing, electric, roof problems and more, that have to be corrected before the mortgage can proceed. An appraisal isn’t a property inspection done for the benefit of the owner, nor to confirm the agreed upon sales price. The report is solely for the benefit of the lender to assess the value of the item pledged as security for the mortgage. If appraisal issues threaten a mortgage approval, there are remedies to work through that may help. If a comparable sale was missed that impacts the value, supply that data for a re-evaluation of value. If missing building permits can be tracked down, depending on the situation, they might increase the appraised value. In the end, the lender has to be completely comfortable with the collateral to approve the loan. The four C’s of capacity, credit, capital, and collateral are combined to tell the story of the borrower and the property. Working with your loan officer to provide detailed information upfront can reduce late documentation requests. Spend time discussing your income and credit situation — current and history — and fully explain your cash story. Then document all the details to help the underwriter decide that you get the mortgage.